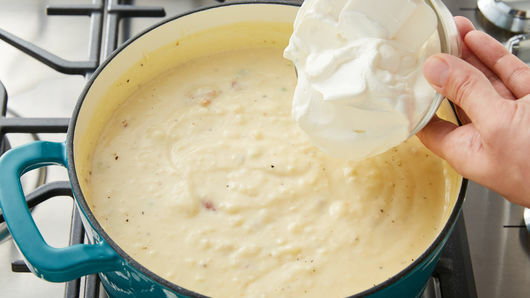 Add potatoes, bacon, 2 tablespoons of the onions, 1 cup of the cheese, salt and pepper to milk mixture. Cook and stir until cheese is melted. 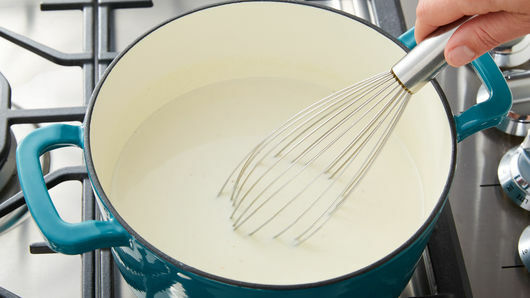 Add sour cream; cook and stir until soup is thoroughly heated. To serve, spoon soup into individual bowls. Sprinkle each with remaining onions and cheese. 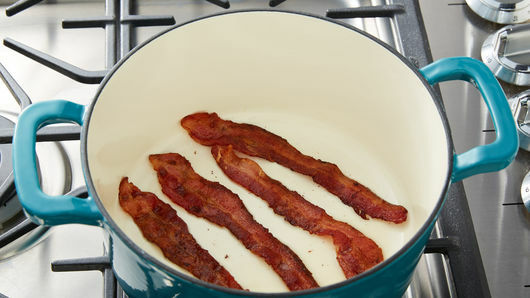 Top with additional crumbled bacon, if desired. 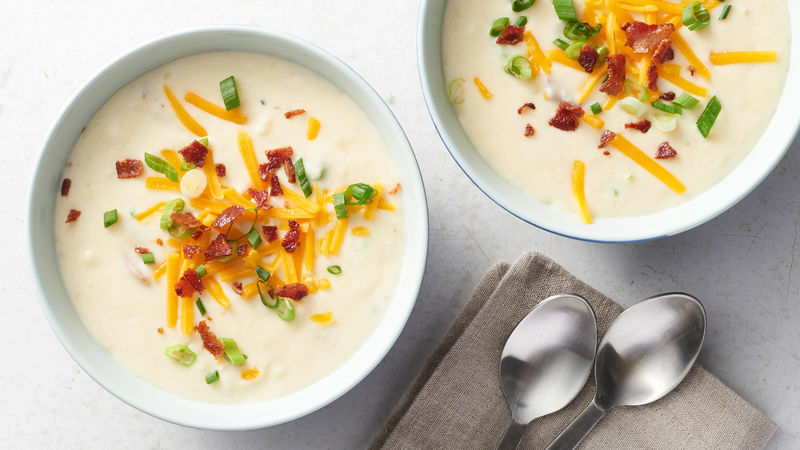 Is there a more perfect use for leftover baked potatoes than baked potato soup? If there is, we certainly don’t know about it! Baked potato soup can be traced back to the Irish who frequently used leftovers and other cheap ingredients to make soup. Though the recipe has humble beginnings, restaurants across the country took notice and to this day, it remains a popular menu item and is frequently added into the soup du jour rotation. It’s an already-hearty soup loaded with chunks of baked potato, bacon bits and cheese, but to make it a full meal, try pairing with a cheesy side bread. 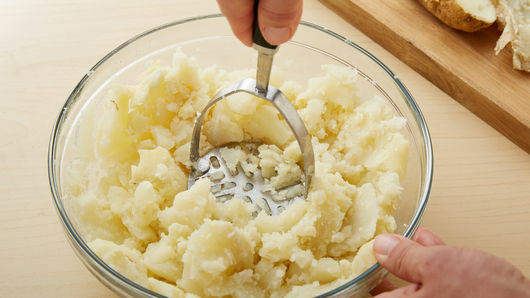 Whether you make potatoes for the main dish or for a side dish, we have every way to bake ‘em! 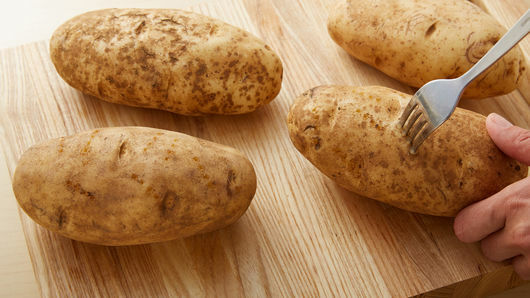 We also have a complete guide to all of the ways you can make a good ol’ baked potato.